Get ready! I will be posting tons of content from my trip to Seattle over the next couple of weeks! It was my first time to Seattle (not sure why it took me so long since it's only a little over an hour of plane ride away) and I loved it! The city is very quaint with a vibe similar to SF and architecture like NYC. Not gonna lie, Seattle was chilly and I took my giant coat (I basically wore one coat over different outfits) off to take photos. BRR! 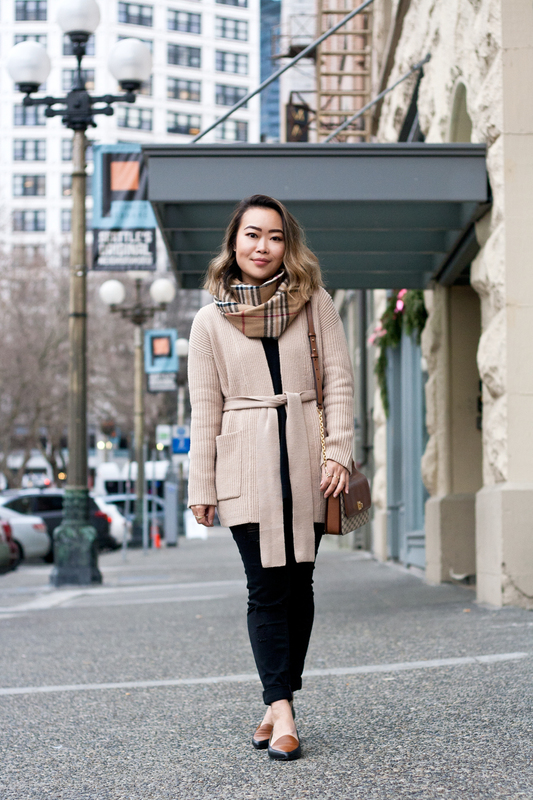 This cardigan from Amour Vert, though, is so cozy. 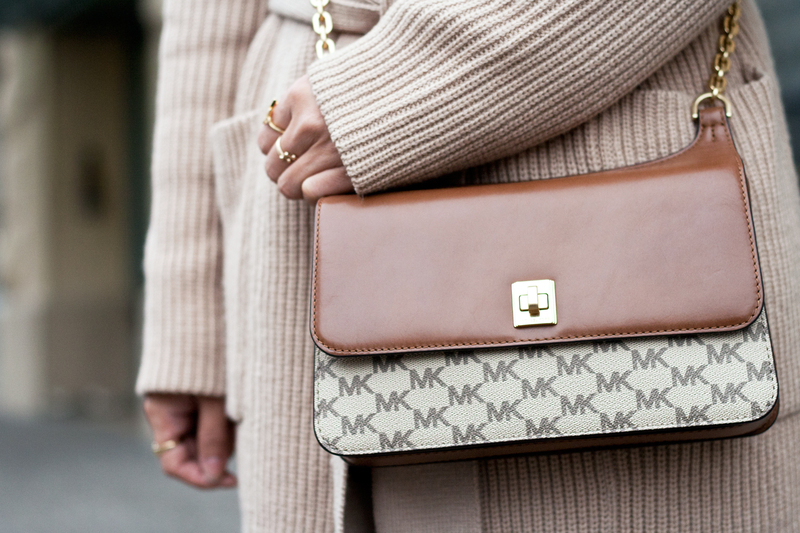 It is made of 100% extra fine merino wool and I just love this light camel color. 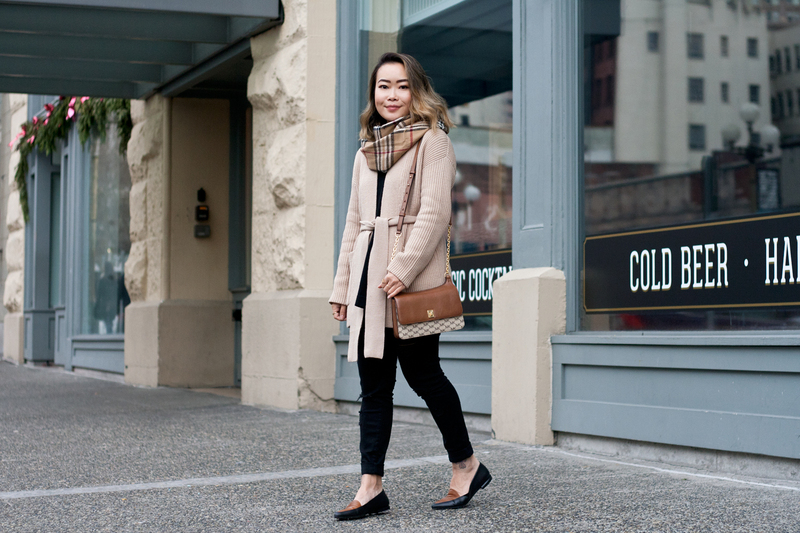 I styled it with a pair of ribbed jeggings, the Modern Point leather loafers from Everlane, and the Natalie Medium Heritage Signature Messenger by Michael Kors. 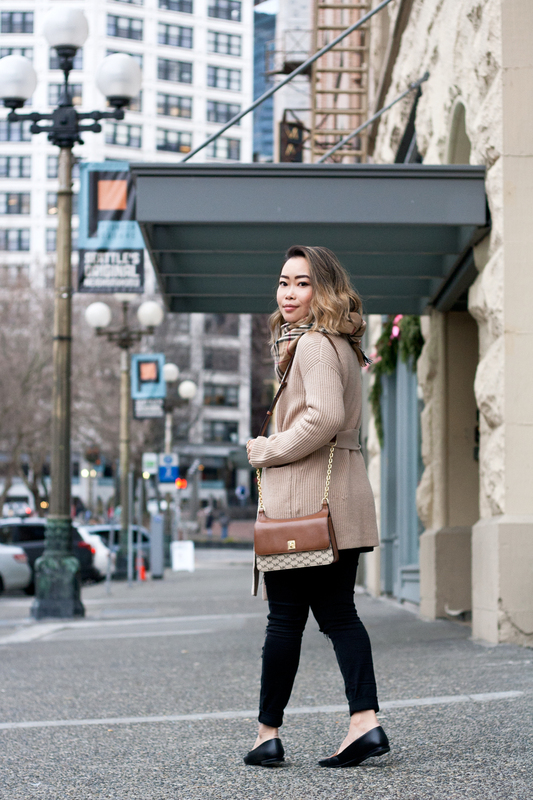 Stay tuned for my Seattle travel post next! Edisa merino wool cardigan c/o Amour Vert. 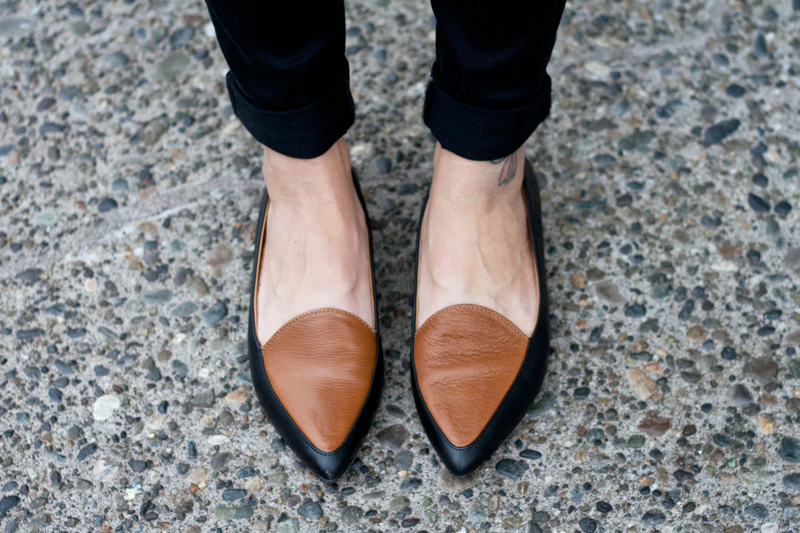 The Modern Point leather loafers c/o Everlane. 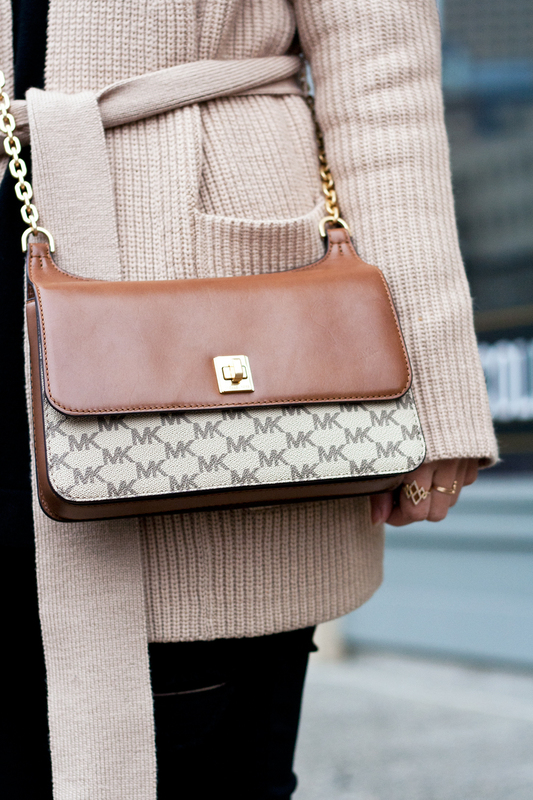 Natalie Medium Heritage Signature Messenger by Michael Kors. You look great! Hopefully you'll have great time at Seattle!